External sources refer to recruiting employees from outside the organization. The External Sources of Recruitment mean hiring people from outside the organization. In other words, seeking applicants from those who are external to the organization. In fact, a pool of qualified candidates lies outside the organization. Firms cannot always get all required members of their current staff. In such a situation, an arrangement is made to attract qualified candidates from other sources. An organization recruits employees from outside in order to fill the vacant position whose specification cannot be met by the present employees. The following external sources of recruitment are used by most of the organizations. This is again a direct form of recruitment wherein the prospective candidates are invited through an advertisement to come and apply for the job vacancy. It is one of the most common and least expensive approaches to recruitment from outside the organization. Under it, the potential candidates visit the office of the company and apply for jobs. Here, the specified date, venue, and time are mentioned, and the candidates are requested to come and give interviews directly without submitting their applications in advance. Usually unskilled and semiskilled workers/supervisors are the candidates for walk-ins. It is relatively informal and less expensive method of external recruitment. It is concerned with direct recruitment and also known as factory gate recruitment. This source of manpower supply is concerned with indirect recruitment. Employment agencies run by private or public or government sectors provide a pool of qualified candidates to those organizations which are seeking for employees. These firms help the organization to hire professional, technical and managerial personnel, and they specialize in recruiting middle level and top-level executives. Employment agencies that provide manpower service to different private, public, or governmental organizations. 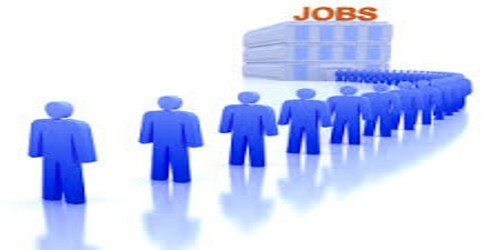 Nowadays, the engineers, accountants, lawyers help their counterparts to get suitable jobs in industrial organizations. The advertisement is the most common and preferred source of external recruiting. The ads in newspapers, professional journals, give a comprehensive detail about the organization, type, and nature of job position, skills required, qualification and experience expected, etc.